Every workplace has its own dictionary. We asked the Tumblr to share some of their internal lingo. Find out who the "Trash Cats" are and who are the "Shiny Unicorns". Then, get #deep. You know Tumblr. The social media platform that lets you curate, blog, create and note to your hearts desire, with 226.9 million blogs and counting. 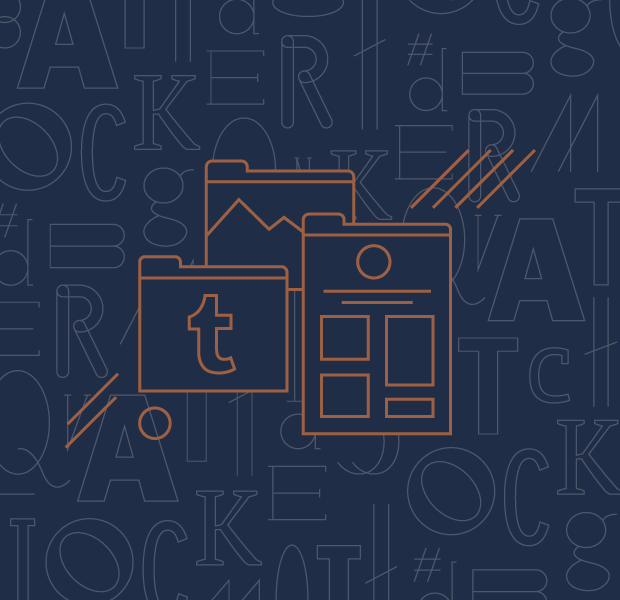 We thought that Tumblr would have some curious in-office language and we weren't disappointed. Thanks to Annie Werner, Editor at Tumblr, and the Tumblr Content and Community Team, we know who the "trash cats" are and who is "radar-worthy." — users who put original work on their Tumblr. EXAMPLE: "Follow the world’s creators." Example: "This GIF is dope–so Radar-worthy!" — used for inter-office female communications. — semi-annual intern party inspired by Tumblr teen community. EXAMPLE: "The post was okay, but everyone’s reaction GIFs in the reblog tree were even better!" EXAMPLE: "Larry Stylinson, aka Harry Styles & Louis Tomlinson, is my favorite Ship." — an open source tool for data center automation. It reports hardware details to the infrastructure source of truth and knowledge, AKA Collins, a loving reference to Phil. — The area of desks that interns work from. EXAMPLE: "The interns thought their desks were a little bare, so they added an inflatable palm tree to Intern Island." Tumblr also has some unique names for its team members. EXAMPLE: "Have you seen the new Dashboard update? Thanks Hashbang!" — Engineers working on creator tools. EXAMPLE: "I wouldn’t be able to create this post without the minds and hands of the Psychic Jacks." — Tumblr interns of all ilks. EXAMPLE: "What are the Tumblrns getting themselves into this week?" — Our Search product team, which uses Arrested Development references for all projects. — Our Growth product team. EXAMPLE: "The Jazz Falcons might know how many active users we have."